Armando Marques Guedes studied at the Instituto Superior de Ciências Sociais e Políticas (ISCSP), at The London School of Economics and Political Science (LSE), and at the École des Hautes Études en Sciences Sociales (EHESS), in Paris. He obtained his Doctorate at the Faculdade de Ciências Sociais e Humanas (FCSH), Universidade Nova de Lisboa, and his Agrégation in Law at the Faculdade de Direito da Universidade Nova de Lisboa (NOVA Law School). He is a fully tenured Professor of this latter one, of the Instituto de Estudos Superiores Militares (IESM) and at the Instituto de Defesa Nacional (IDN), Ministério da Defesa, and at the Instituto Superior de Ciências Policiais e Segurança Interna (ISCPSI), Ministério da Administração Interna. He is a Professor honoris causa at the University of Bucharest, in Romania. Among other posts held, he was the first Cultural Counselor of the Portuguese Embassy in Luanda, Angola, President of the Instituto Diplomático, at the Portuguese Ministério dos Negócios Estrangeiros and Director of Policy Planning of the same Ministry, and the President of the General Assembly of the Portuguese Society of International Law (SPDI). He carried out intensive fieldwork in the Philippines, in Cape Verde, S. Tomé e Príncipe, Angola, and Timor-Leste. He gave conferences and organized courses in 41 countries. 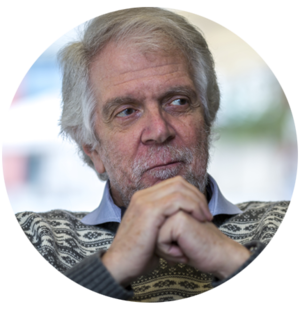 He is the author of sixteen books and well over one hundred articles, and the member of some twenty scientific societies, both in Portugal and abroad.